Sunshine Capital of the country, a haven for arts, crafts and alternative Lifestyles. Nelson is one of NZ’s coolest cities; it is a city, but only just, with about 45,000 people. There is a feeling of ‘Englishness’ to the whole town. Although mixed into this is the relaxed hippie vibe. Nelson received its name in honour of the Admiral Horatio Nelson who defeated both the French and Spanish fleets at the Battle of Trafalgar in 1805. Many of the roads and public areas around the city are named after people and ships associated with that battle and Trafalgar Street is the main street in the city. Inhabitants of Nelson are referred to as Nelsonians. Nelson's Maori name, Whakatū, means 'build', 'raise', or 'establish'. Nelson is one of the few New Zealand cities to have its own flag. Nelson, is also the geographical centre of New Zealand, is a region renowned for warm sunshine, fine beaches, lakes, mountains and native forests. The City of Nelson is large enough to offer all the services and amenities of a large city yet is small enough to be intimate, welcoming and friendly. It is New Zealand's largest fishing port and the gateway to a major forestry and horticulture industry. 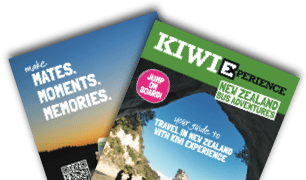 Add to this the attraction of fine foods, superb wines, an innovative craft industry, spectacular scenery and traditional Kiwi hospitality and you can understand why Nelson is a place to which holiday makers flock all year round. For natural wonders in the area visit the crystal clear Waikoropupu Springs which hold the world record for the clarity of their fresh water, or descend Harwood’s Hole, which at 357 metres (1170 ft), is New Zealand’s deepest vertical shaft. Farther west is the unique Farewell Spit. Over 100 species of birds visit this area each year, some from as far afield as the Arctic Circle - four wheel safaris into this area are becoming increasingly popular.